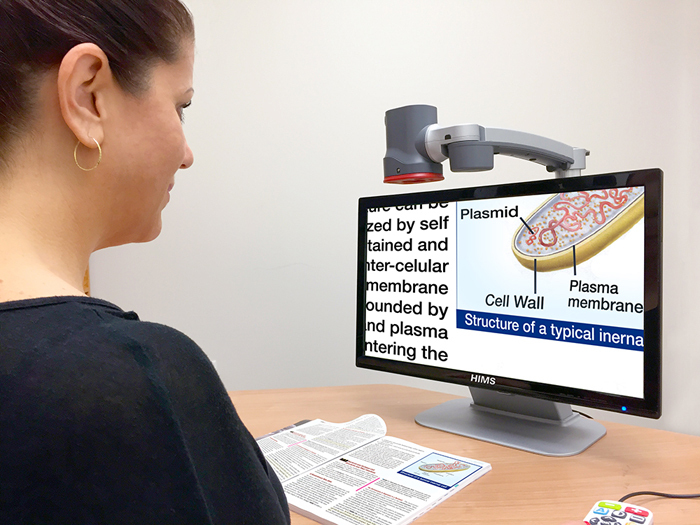 GoVision is an all-in-one, space-saving HD video magnifier that combines all the best features of a desktop video magnifier with transportability and connectivity unrivaled by other products. Take GoVision wherever you need it to magnify text, view photos, check ingredients on food packaging, do crafts and much more. Use Self View Mode for personal grooming or applying make-up before you leave the house. Take GoVision with you to use the Distance Mode with the 340∞ camera rotation to view a whiteboard in the classroom or a presentation at work.